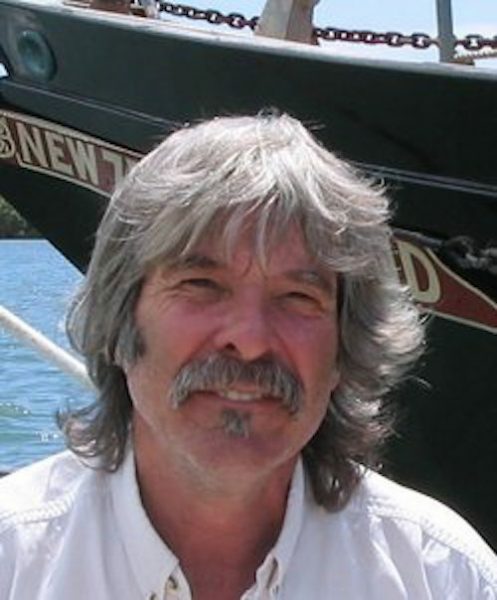 Jon Tucker is a New Zealand-born author-adventurer whose home-built traditional ketch was the only home he and his wife Barbara owned for more than 30 years, raising a family of five sons in the process. Although their base is now on Bruny Island, Jon and Barbara are currently cruising the Pacific once again, where Jon is researching and writing the third in a series of environmental-themed adventure books. Jon Tucker married the girl next door when they were teenagers in New Zealand, and they both built a black piratical small ship as their home. A few years later, with their family of five boys, they gave up their teaching jobs, loaded up ten boxes of school-work, and sailed away into the South Seas. Jon now writes books based on the expeditions that he and his adventurous wife and sons have enjoyed. Snow Petrel is the true story of how he was allowed to be the cabin-boy for two of his sons when they grew up and sailed a small home-built yacht to the windiest place in the world (a hut in Antarctica 3000 km south of Tasmania). His Those Kids series is a mixture of true and imaginary adventures based on the lifestyle of his boys when they were between 9 and 14 years old. They had a small fleet of black sailing dinghies (each with a pirate name and gold skull & crossbones), so his books are full of sailing, camping, fishing, environmental issues and problem-solving. Those Snake Island Kids is set in Tasmania, and Those Eco-Pirate Kids finds the same kids on a houseboat holiday in Sydney’s northern waterways a year later. His next book Those Shipwreck Kids is currently being written, and has the same Tasmanian kids exploring some exciting places in New Zealand. Jon always loved reading to his classes from grade 5 to grade 12 when he was a teacher, and is a huge believer in the value of reading aloud to encourage school kids to read books themselves. His books have chapters which are an ideal length for this, with simple illustrations and maps as well. They can be found in many NZ and Australian schools or libraries, and are becoming popular in Britain. Those Shipwreck Kids – sequel to the above, (set in NZ, exploring both sides of the pest eradication program of aerial poison drops). Due for publication 2017, Storm Bay Books.